Reminder: Twisted Pine Meet the Brewer this Thursday! 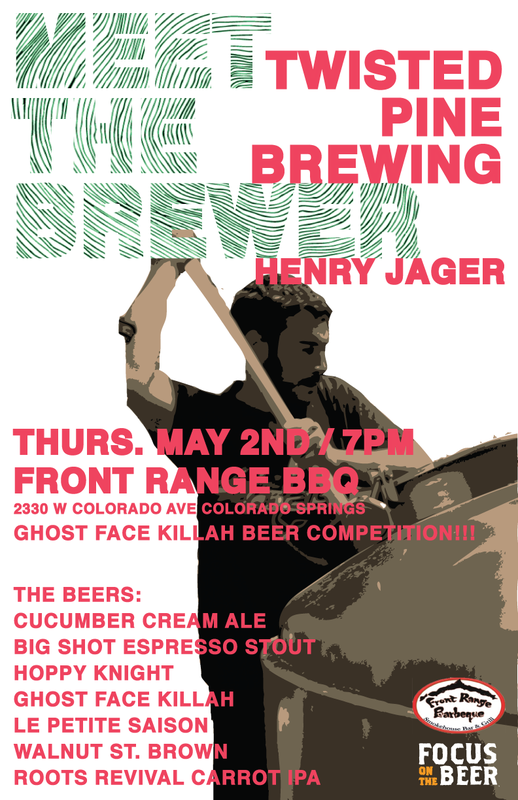 We just wanted to remind you all that we have a fantastic Meet the Brewer with Twisted Pine this Thursday, May 2nd, at 7pm at Front Range BBQ. Twisted Pine is going to bring some wonderful and experimental beers with ingredients including Cucumber, Carrots, and Ghost Chilies. They’ll also have some seasonals and classics like the Le Petite Saison and their Hoppy Boy IPA. The event will be a ton of fun, we hope to see you there!